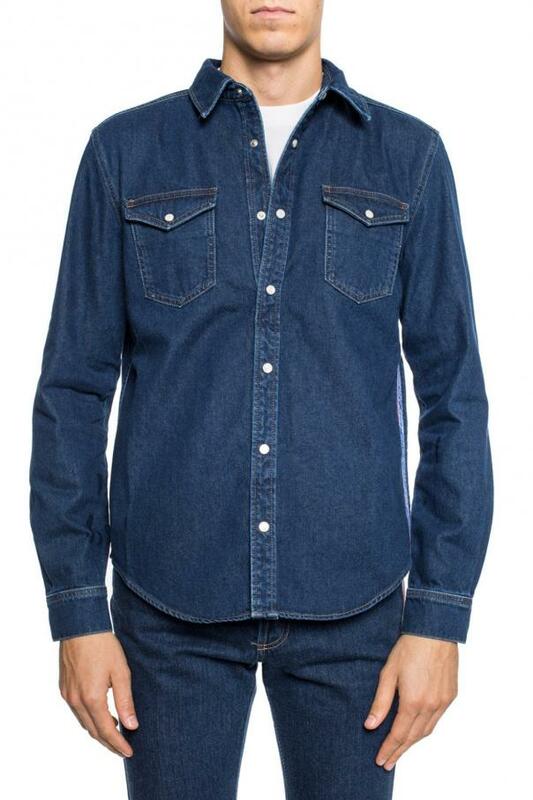 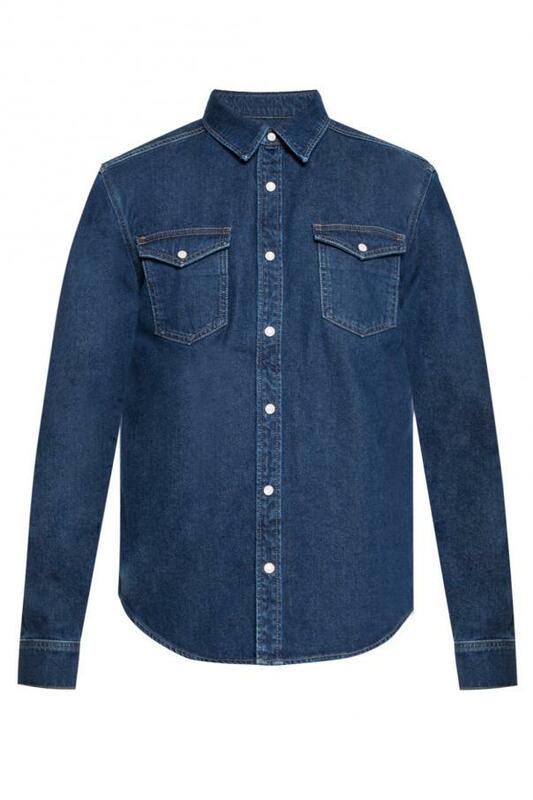 Light navy-blue denim shirt from Givenchy. Fastened with snaps in cream and silver. 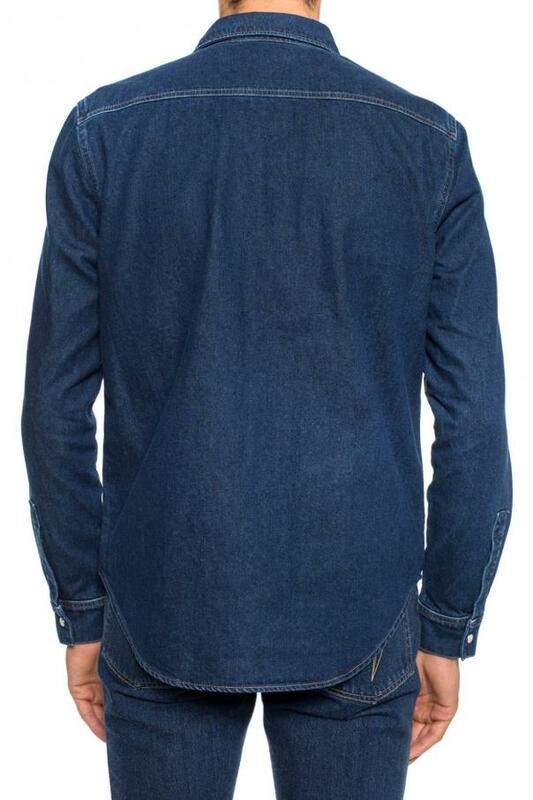 On the front two pockets with flaps fastened with snaps. 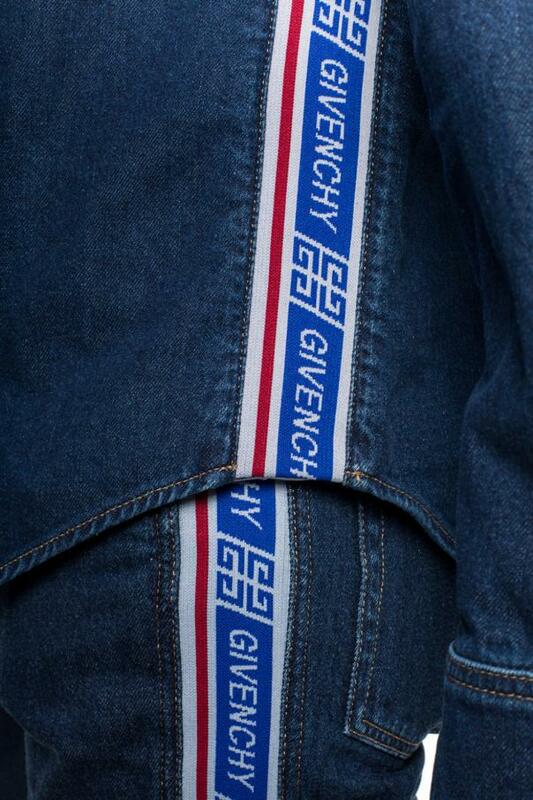 On the side a white, blue and red stripe including an embroidered logo.